Lake Garda Flash Sale is ON NOW! Save an extra £100 per couple on top of our existing deals for May departures on selected Lake Garda holidays. Hurry! Sale ends 11pm on 8th April 2019. Lake Garda Flash Sale - Save an extra £100 per couple on top of our existing deals for May departures! Book your perfect holiday to Lake Garda today! Save an extra £100 per couple on top of our existing offers for May departures. The rich history, perfect Mediterranean climate and character of harbour towns and hillside villages provide a feast for the senses. Lake Garda with its crystal clear waters, coves and beaches is perfect for swimming, sailing or windsurfing, you can hire a boat or let someone else do the hard work and take a boat trip, while a network of ferries provide the best transportation for exploring nearby towns and points of interest. Hurry! Flash Sale ends 11pm on 8th April 2019! Spring skiing has just got better! With up to 20in of snow due in the Alps this week, the season is definitely NOT over yet! To celebrate the fantastic snow news, we are offering Double Commission on Ski Holidays until 14th April 2019. WINTER 19/20 ON SALE NOW - Book your next ski adventure! Book your next ski adventure and start your countdown to Winter 19/20! Book now for the widest choice of hotels & chalets in the world's best resorts in Europe and Canada. From just £429pp, inc. flights, resort transfers and 7 nights in a catered chalet. Extra commission - 5% on all new ski holiday bookings completed online. This offer is valid from 4pm on Tuesday 2nd April 2019 until midnight 14th April 2019. The incentive is only valid on new Ski Holiday bookings completed online and cannot be applied retrospectively. The Winter season is in full swing - following the recent top-ups of snow across the Alps, those heading to the slopes this month are in for a treat! Follow us on Facebook for the latest snow news! Save up to 50% on your last-minute ski trip! Make the first tracks of 2018 from just £199pp, inc. flights, resort transfers and 7 nights in a self-catered apartment. Catered chalets available from just £479pp. Ski in France from just £199pp - Enjoy the snowsure pistes of top French resorts. Fantastic skiing for all abilities. Superb savings on lift passes & ski hire. Ski in Austria from £399pp - Fantastic ski deals to Austria. Picturesque ski resorts, friendly atmosphere, great snow & apres. Ski in Italy from just £379pp. Choose from hand-picked hotels and apartments or stay at our exclusive chalet hotels at top ski resorts in Italy. Friendly atmosphere, superb value, delicious food & wine. Ski with your family next February half term from just £479pp. Choose from family-friendly ski resorts in the Alps or head over to the Finnish Lapland for a Winter Wonderland adventure in the Arctic Circle! Take the snow train to the Alps this winter! Travel by Eurostar on a Saturday with free ski carriage and transfer direct to resort. Generous luggage allowance. Free wifi. Save up to £100 per couple on your summer holiday! Save up to £100 per couple on your summer holiday! Book by 31st January! Superb scenic resorts in the Italian Lakes, Slovenia, Madeira and Portugal, friendly Alpine villages in Austria, Italy and France, picturesque villages in the fjords of Norway, and much more! Treat your family to a magical adventure in Lapland, home to Father Christmas. Meet Santa and his elves, help bake gingerbread in Santa's workshop, hidden deep in the forest. Take husky and reindeer sleigh rides or head out into the wilderness on a snowmobile safari. Experience the stunning Winter Wonderland scenery, with a chance to see the Northern Lights. Choose from 3 or 4 night stays. Book now for December 2018! Snovember is here! The Alps have had another top-up of snow - great news for those heading out to the slopes this December! Don't miss out on our fantastic late deals and save up to 50% on your ski trip in December and January! Follow us on Facebook for the latest snow news! Save up to 50% on your last-minute ski trip! Make the first tracks of the season from just £199pp, inc. flights, resort transfers and 7 nights in a self-catered apartment. Catered chalets available from just £388pp. January ski deals from just £199pp, inc. flights, resort transfers and 7 nights in a self-catered apartment. Look forward to a magical Christmas in the Alps - Winter Wonderland scenery, festive celebrations in resort, delicious Christmas dinner cooked for you while you ski or relax. 7 nights Half Board from just £459pp. Don't forget to use our brand new banners for Winter 17/18! Available now on the interface. We are excited to announce our brand new additions to the Lakes & Mountains programme for Summer 2018. We have expanded our offering to include three stunning destinations in Portugal, as well as many new resorts in Austria, Norway and Italy. With the new destinations, we have also unveiled our brand new Lakes & Mountains video - take a look! NEW for 2018 - Portugal - with stunning mountain and coastal walks, fascinating historic cities and delicious cuisine, Portugal has so much to offer. Explore the winding streets of Lisbon, Portugal's historic capital, or visit the coastal city of Setúbal on the edge of the stunning Arrábida National Park. Or why not head to the picturesque island of Madeira and its bustling capital of Funchal? With tropical gardens and vibrant markets, Funchal is a great base to explore the island from. There is also a wide range of excursions and guided 'Levada' walks to choose from (FREE packed lunches included for all pre-booked excursions and guided walks), including the free half day excursion 'Pico dos Barcelos, Eira do Serrado & Monte Church' for all Inghams guests. New Alpine spa resort - Bad Kleinkirchheim, Austria - known for its healing springs, the pretty resort of BKK is a great base for an active holiday. It is a great region for hiking, swimming and cycling. Don't miss a trip to the beautiful Millstätter Lake. We also recommend a hike on the famous Alpe-Adria-Trail, which connects the three regions Carinthia, Slovenia and Friaul Julisch Venetia. FREE use of cable cars, walkers' buses and free entrance to local attractions with the BKK and Carinthia cards included for all Inghams guests. New Italian resorts in the Dolomites - Corvara & Colfosco, San Cassiano, Folgaria & Lake Lavarone - picturesque destinations with an abundance of walking and cycling trails, hand-picked hotels and superb cuisine. Enjoy FREE use of lifts and public transport in Folgaria & Lake Lavarone with your complimentary Trentino Guest Card. New resort in the Norwegian fjords - Ulvik - Explore the spectacular Hardangerfjord, the second longest fjord in Norway, from the picturesque village of Ulvik. Enjoy scenic walking and cycling trails, or take a boat or a kayak out. NEW adrenaline-fuelled excursions in Chamonix - perfect for those who seek a non-stop mountain holiday experience, these thrilling activity add-ons include: Overnight Glacier Experience (an unforgettable night in the newly renovated Refuge du Montenvers), Mountain Magic (three half-day excursions to some of the exciting local activities on offer, including white water rafting and guided biking) and Ice, Air & Rapids (two-and-a-half day activity package inc. rafting, tandem parapenting and a guided Mer de Glace glacier hiking excursion). Stay in our friendly Chalet Hotel Sapiniere from just £438pp, inc. flights, transfers and 7 nights Half Board + packed lunches. Summer 2018 holidays from just £438pp, inc. flights, transfers and 7 nights Half Board. Choose from over 100 picturesque Lakes & Mountains resorts across Italy, Portugal, France, Austria, Switzerland, Norway, Slovenia and Germany. Experience more with superb excursions and guided walks available in all resorts. Enjoy a taste of 'la dolce vita' next summer. Stay in one of the stunning lakeside resorts in Lake Garda, Como, Iseo, Ledro, Levico, Maggiore, Orta or Trasimeno. Explore the scenic walking and hiking trails in the Aosta Valley or the Dolomites, or visit the stunning Venice or Verona. 7 nights from just £469pp, inc. flights, transfers and accommodation. Explore the natural beauty of Portugal & Madeira this summer. With a warm, mild climate, dramatic scenery, fascinating cities and affordable dining out, Portugal is the perfect destination for a summer getaway. 7 nights from just £479pp, inc. flights, transfers and accommodation. With its pretty Alpine villages, wonderful mountain huts, spectacular scenery, traditional culture and friendly atmosphere, Austria has something for everyone. Those planning a walking or hiking holiday will be spoilt for choice with over 30 resorts to choose from and a wide range of well-marked trails for all abilities. 7 nights from just £499pp, inc. flights, transfers and accommodation. A fabulous destination to have a proper Alpine summer holiday, with a stunning landscape of dramatic snow-dusted peaks, tranquil shimmering lakes, and charming, picturesque towns and villages. 7 nights from £572pp, inc. flights, transfers and accommodation. With dramatic landscapes, massive glaciers and picturesque coastal villages, the fjords of western Norway are a truly awe-inspiring holiday destination. 3 nights from just £429pp, inc. flights, transfers and accommodation. It seems winter has arrived in the Alps - many resorts have already had a few inches of snow and up to 1m of snow is expected in places over the course of this week. With our first guests arriving in resorts in a month's time, we are counting down the days until the new season! Look forward to a magical Christmas in the Alps - Winter Wonderland scenery, festive celebrations in resort, delicious Christmas dinner cooked for you while you ski or relax. 7 nights Half Board from just £499pp. Travel to the mountains in style this winter - book your Swiss ski holiday by 31st December 2017 and enjoy a FREE 1st Class Upgrade on your rail transfers, worth £130 per couple. Experience the spectacularly beautiful Banff and explore the incredible Big 3 ski area this spring. Save an extra £100 per couple on selected ski holidays to Banff. Hurry! Offer ends on 30th November 2017! Travel to the mountains in style this winter - book your Swiss ski holiday by 31st October 2017 and enjoy a FREE 1st Class Upgrade on your rail transfers, worth £130 per couple. Keep an eye out for our brand new banners for Winter 17/18! Available soon on the interface. Inghams Flash Ski Deals - Save up to £540pp! Take a look at this week's Flash Ski Deals! FLASH SKI DEALS - save up to £540pp until 1st October! Superb Flash Ski Deals with savings of up to £540pp! Hurry! Offers end midnight Sunday 1st October! Take a look at this week's fantastic Flash Ski Deals! From savings of up to £420pp at superb 4* hotels to free ski & boot hire, there are plenty of fantastic offers to choose from. Hurry! Offers end midnight Sunday 24th September! FLASH SKI DEALS - save up to £420pp until 24th September! Superb Flash Ski Deals with savings of up to £420pp! Extra savings at top quality chalets and hotels, free ski & boot hire and more... Hurry! Offers end midnight Sunday 24th September! Unforgettable Lapland adventures from just £79pp - huskies, reindeer, snowmobiles! Enjoy three unforgettable adventures from just £79pp this winter! To celebrate the 20th Anniversary of Inghams holidays to Lapland, we are offering a unique activity package, inc. Snowmobile Safari, Super Husky Safari and Super Reindeer Safari. Hurry! Offer ends 30th September 2017! Escape the mad rush and enjoy a relaxing Christmas in the Alps! Ski with your friends and family while we cook the Christmas dinner for you. Stay in one of our exclusive catered chalets from just £759pp, inc. flights, transfers and 7 nights stay. With breathtaking firework displays illuminating the mountains, torch lit ski descents and live music performances, there's no better place to welcome the New Year than the Alps! Give your sofa a break this winter and ski into the New Year. Book now from £549pp, inc. flights, transfers and 7 nights in a B&B (half board from £689pp). The French resort of Flaine is a bit of a hidden gem - set in the Grand Massif ski area, the 4th largest linked ski area in France, Flaine offers a varied mixture of terrain to explore and has an exceptional snow record. Unlike other traditional alpine resorts, Flaine has a unique architecture and is brimming with examples of modern art. With short transfers, the resort is ideal for families and those who want to maximise their time on the slopes. Whether you stay in one of the self-catered apartments or contemporary hotels like the Terminal Neige Totem, you will be spoilt for choice of restaurants and apres spots. This winter, you can also go ski-inclusive at the fantastic Village Club du Soleil Hotel - from just £889pp, inc. 6 day lift pass, ski & boot hire, lunches or picnics, wine with meals and more. Get fit on the slopes this January! 7 nights from just £359pp, inc. flights, transfers and 7 nights in a self-catered apartment. Take your family skiing this February half-term. Book now for the widest choice of self-catered apartments from just £609pp, quality partner hotels from £639pp (Half board) and exclusive chalets from £769pp. Don't miss out on this week's Flash Ski Deals! From FREE lift passes at the stunning Italian resort of Livigno to savings of up to £290pp, there are plenty of fantastic offers to choose from. Hurry! Offers end midnight Sunday 17th September! FLASH SKI DEALS - save up to £290pp until 17th September! Superb Flash Ski Deals with savings of up to £290pp! Free lift passes, Free bar credit, extra savings at top quality chalets and hotels... Hurry! Offers end midnight Sunday 17th September! 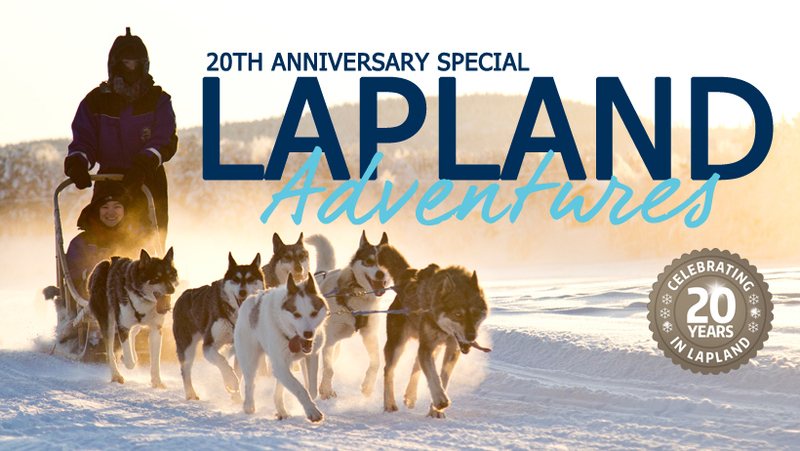 This winter, we are celebrating 20 years of offering holidays to Lapland, providing magical adventures above the Arctic Circle. From husky sledging across arctic tundra, to feeding reindeer in ethereal forests, and snowmobiling into a wild, winter wonderland - we are the experts in creating a unique Lapland experience. To celebrate our 20th Anniversary, guests to Lapland can save over £100pp on the ‘Big 3’ excursions - all worthy of a bucket-list. Experience a Shared Snowmobile Safari, Super Husky Safari, and Super Reindeer Safari from only £79 per adult (selected dates), and excursions for children (4-12 years old) are FREE. Book your holiday to Finnish Lapland by 30th September and enjoy three incredible adventures from just £79pp, saving up to £100pp! Experience a Shared Snowmobile Safari, Super Husky Safari and Super Reindeer Safari. Available in the magical resorts of Levi, Yllas and Saariselka. FREE excursions for children (aged 4-12). Hurry! Offer ends 30th September 2017! Watch our film for a taste of Lapland. Canada Ski Sale is on now at Inghams, with extra savings of up to £100pp on all hotels and apartments on top of our existing Early Booking Discounts. You can also save up to 35% on pre-booked Lift Passes. Hurry! Sale ends 31st August! Canada Ski Sale - book by 31st August! Book your Canadian ski adventure by 31st August and enjoy extra savings on your holiday and lift pass. Save up to £100pp on all hotels and apartments on top of the existing Early Booking Discounts, plus up to 35% off lift passes when you pre-book. Hurry! Sale ends 31st August! Save up to £900 on all hotels and apartments in Whistler! Experience one of North America's finest resorts - high altitude skiing & guaranteed snow, two incredible mountains linked by the famous Peak2Peak gondola, 3 glaciers, over 200 runs to choose from. Pre-book your lift pass and save up to 35%. Enjoy three of the world's finest ski resorts, set in the spectacularly beautiful Banff National Park - explore the vast ski areas Lake Louise, Sunshine Village and Mount Norquay. Choose from comfortable apartments and hotels in Lake Louise or Banff. 7 nights from £983pp*, inc. flights, transfers and accommodation. Happy Friday! Winter 17/18 has just got better with our EPIC Lift Pass Offer - Buy One Get One FREE on adult and senior lift passes! Buy One Get One FREE on adult/senior lift passes when you book your Winter 17/18 ski holiday departing 30th December 2017 (New Year), 6th January, 24th February or 17th March. Hurry! Offer ends 31st August 2017! The offer applies to new bookings only made from 27/07-31/08/2017 departing on the dates above (charter flights only), and cannot be applied to existing bookings retrospectively. Claviere, Italy - the oldest ski resort in Italy. This charming village enjoys easy access to the 400km of pistes in the Milky Way ski area. Superb cuisine and friendly atmosphere. Livigno, Italy - a versatile and exciting ski resort with lively apres and plenty of activities for non-skiers. Free lift passes available on 16th December. Pila, Italy - a hidden gem, one of the most snow sure destinations in the Alps with stunning views of Mont Blanc. Pila is ideal for intermediate skiers, but also caters well for beginners with long blue runs and no draglifts. Les Menuires, France - sister resort of Val Thorens and part of the vast Three Valleys ski area. Excellent value for money with plenty of ski-in/ski-out accommodation to choose from. Also new for Winter 17/18 is the three-diamond Chalet Linda. Situated in the iconic Austrian resort of Kitzbühel, the chalet is just a few minutes' walk from the Hahnenkamm Gondola and ski school meeting point, and offers easy access to the extensive ski area. With a total of 91 resorts across 8 countries, there is plenty of choice for the coming winter season - from 7 night stays to short breaks and ski inclusive holidays. Book your Winter 17/18 ski holiday and save up to £400 per couple with our early booking offers. Book your Winter 17/18 ski holiday and lift pass and get 2-for-1 ski hire or ski carriage. Six fantastic resorts to choose from: Kühtai in Austria, Flaine, Méribel, Montgenèvre and Morzine in France, and Arinsal in Andorra. Superb value for money with lift pass and ski hire included in your holiday. Plus complimentary food & drink vouchers at selected properties. Save up to 50% on your lift passes and tuition in Canada. Free ski hire and lift pass for children under 12 with one adult pre-booking the same. Hurry, offers end soon! Hit the slopes in December from just £379pp, inc. flights, transfers and 7 nights in a catered chalet. Look forward to a magical Christmas in the Alps - Winter Wonderland scenery, festive celebrations in resort, delicious Christmas dinner cooked for you while you ski or relax. 7 nights Half Board from just £669pp. 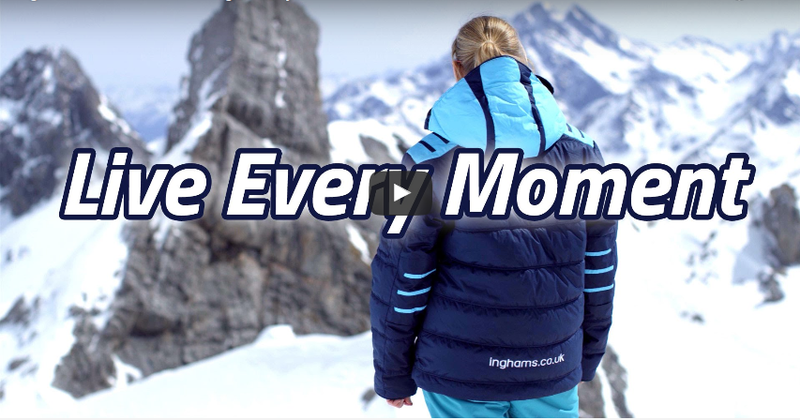 Watch our ski film for a taste of the Inghams ski experience. Happy Monday everyone! We have superb savings of up to 50% on scenic summer holidays available this month, and as an extra reward, you can now earn Double Commission (5%) on all summer holiday bookings made until midnight 31st July 2017^. 7 nights from just £399pp, inc. flights, transfers and accommodation (Half Board). There are over 100 scenic resorts to choose from in France, Austria, Italy, Switzerland, Germany, Slovenia and Norway. Our experienced reps will be on hand in resort to help you make the most of your holiday. Whether you stay in one of our exclusive chalets and chalet hotels, or our hand-picked partner hotels, there are some fantastic savings to be had with Inghams Plus offers, e.g. free packed lunches, free resort travel (chairlifts, public transport), free guided walks and much more. Enjoy a taste of 'la dolce vita' this summer. Stay in one of the stunning lakeside resorts in Lake Garda, Como, Iseo, Ledro, Levico, Maggiore, Orta or Trasimeno. Explore the scenic walking and hiking trails in the Aosta Valley or the Dolomites, or visit the stunning Venice or Verona. 7 nights from just £399pp, inc. flights, transfers and accommodation (Half Board). With its pretty Alpine village, wonderful mountain huts, spectacular scenery, traditional culture and friendly atmosphere, Austria has something for everyone. Those planning a walking or hiking holiday will be spoilt for choice with over 30 resorts to choose from and a wide range of well-marked trails for all abilities. 7 nights from just £399pp, inc. flights, transfers and accommodation (Half Board). A fabulous destination to have a proper Alpine summer holiday, with a stunning landscape of dramatic snow-dusted peaks, tranquil shimmering lakes, and charming, picturesque towns and villages. 7 nights from just £470pp, inc. flights, transfers and accommodation (Self Catered). Try something different this year and explore the breathtaking Alpine villages in the Haute-Savoie. The vibrant resort of Chamonix (home to our Chalet Hotel Sapiniere) offers a huge choice of activities including rafting, parapenting, mountain biking, climbing and summer tobogganing. You can also enjoy breathtaking views of the magnificent Mont Blanc or ride the famous rack railway to 6,200ft to admire the stunning Mer de Glace glacier. 7 nights from £533pp, inc. flights, transfers and accommodation (Half Board). Rafting – Chamonix - Starts and finishes in Chamonix on the river l’Arve, which runs through the centre of Chamonix – 45 minutes long. Guided biking - This is cross-country through forests and rivers, not going on chair lifts, part of a group and bike included. Guided Hike - Half day hike with a guide around the Chamonix valley. It will be a gentle walk, nothing too strenuous. Rafting in Italy - Dora Baltea ½ day – Guests are collected and taken to the start point, follow a 30km stretch of the Dora river. Active adrenaline adventure and intense thrills on big waves- You MUST be able to swim well. Parapenting - Brevent, you land in front of the Sapinière! Guests will fly in tandem with a qualified parapent pilot. Lift pass to start point not included. Full day glacier hike on the Mer de Glace (great day out for a taster of a glacier/ice walking) - the Mer de Glace is one of the most well know glaciers in the Alps. Guests will be equipped with crampons, a harness and ice axes, and be lead by a guide. Double Commission (5%) is available to new and existing members of the Inghams Affiliate Programme (ID: 3206). The promotional commission rate will apply to all online bookings from the Inghams Lakes and Mountains programme placed between 12pm on Monday 3rd July 2017 and midnight 31st July 2017. The promotional rate cannot be applied to past bookings retrospectively and only applies to Lakes and Mountains bookings. Summer Sale is on NOW with incredible savings on scenic summer holidays! Stay in a 4* hotel for 7 nights from £499pp, inc. flights, transfers and accommodation (Half Board)! Superb scenic resorts in France, Austria, Italy, Switzerland, Germany, Slovenia and Norway. Summer Sale on now! Don't miss out on incredible summer savings! Book by 7th June! 7 nights from £499pp, inc. flights, transfers and accommodation (Half Board). To celebrate the Summer Sale, we are also offering Double Commission (5%) on all Lakes and Mountains bookings completed online by midnight 7th June 2017. Double Commission (5%) is available to new and existing members of the Inghams Affiliate Programme (ID: 3206). The promotional commission rate will apply to all online bookings from the Inghams Lakes and Mountains programme placed between 3pm on Friday 26th May 2017 and midnight 7th June 2017. The Summer 2017 season has officially begun with our first guests arriving in resort. There are still some fantastic last-minute deals available for this May and June, with 7 nights Half Board from just £272pp (flights and resort transfers included). There are over 100 scenic resorts to choose from in France, Austria, Italy, Switzerland, Germany, Slovenia and Norway. Our experienced reps will be on hand in resort to help you make the most of your holiday. Whether you stay in one of our exclusive chalets and chalet hotels, or our hand-picked partner hotels, there are some fantastic savings to be had with Inghams Plus offers, e.g. free packed lunches, free resort travel (chairlifts, public transport), free guided walks and much more. 7 nights from just £272pp, inc. flights, transfers and accommodation (Half Board). Enjoy a taste of 'la dolce vita' this summer. Stay in one of the stunning lakeside resorts in Lake Garda, Como, Iseo, Ledro, Levico, Maggiore, Orta or Trasimeno. Explore the scenic walking and hiking trails in the Aosta Valley or the Dolomites, or visit the stunning Venice or Verona. 7 nights from just £349pp, inc. flights, transfers and accommodation (Half Board). With its pretty Alpine village, wonderful mountain huts, spectacular scenery, traditional culture and friendly atmosphere, Austria has something for everyone. Those planning a walking or hiking holiday will be spoilt for choice with over 30 resorts to choose from and a wide range of well-marked trails for all abilities. 7 nights from just £349pp, inc. flights, transfers and accommodation (Half Board). While many head for the Loire or the Dordogne regions every summer, why not try something different this year and explore the breathtaking Alpine villages in the Haute-Savoie? The vibrant resort of Chamonix (home to our Chalet Hotel Sapiniere) offers a huge choice of activities including rafting, parapenting, mountain biking, climbing and summer tobogganing. You can also enjoy breathtaking views of the magnificent Mont Blanc or ride the famous rack railway to 6,200ft to admire the stunning Mer de Glace glacier. 7 nights from just £272pp, inc. flights, transfers and accommodation (Half Board). The countdown to Winter 17/18 is on here at Inghams and we have some fantastic early bird ski deals for those who, like us, cannot wait to hit the slopes again. Hit the slopes in December from just £434pp, inc. flights, transfers and 7 nights in a catered chalet. Look forward to a magical Christmas in the Alps - Winter Wonderland scenery, festive celebrations in resort, delicious Christmas dinner cooked for you while you ski or relax. 7 nights Half Board from just £624pp. Spend Easter on the slopes and enjoy fantastic snow and bluebird skiing with your friends and family. 7 nights from £484pp, inc. flights, transfers and accommodation. Spring Sale is on NOW with savings of up to £800 per couple! 7 nights from just £349pp, inc. flights, transfers and accommodation (Half Board)! Superb scenic resorts in France, Austria, Italy, Switzerland, Germany, Slovenia and Norway. 7 nights from just £349pp, inc. flights, transfers and accommodation (Half Board). The ski season may be coming to an end but with more snow expected in the Alps next week, why not spend Easter on the slopes and enjoy the fantastic spring snow? Last chance to ski this season! 7 nights from £399pp. All packages include return flights, transfers and accommodation. Get a few extra days on the slopes this season! Choose from 3 or 4 night stays at top resorts in France, Switzerland and Italy. Save up to £540 per couple with our fantastic Early Booking Offers for Winter 17/18. Hurry, offer ends 30th April 2017. Look forward to a magical Christmas in the Alps - Winter Wonderland scenery, festive celebrations in resort, delicious Christmas dinner cooked for you while you ski or relax. 7 nights from just £624pp. Easter Sale is on NOW with Double Commission until 20th April! Up to 40% off early summer getaways! Superb scenic resorts in France, Austria, Italy, Switzerland, Germany, Slovenia and Norway. From active walking and cycling holidays to relaxing lake getaways. 7 nights from just £349pp, inc. flights, transfers and accommodation (Half Board). Hurry! Sale ends 20th April 2017! As an extra reward, you will earn Double commission (5%) on all Lakes & Mountains bookings completed online until midnight 20th April 2017. 7 nights from just £349pp, inc. flights, transfers and accommodation (Half Board). Hurry! Sale ends 20th April 2017! This incentive is available to new and existing members of the Inghams Affiliate Programme (ID: 3206). The promotional commission rate of 5% is only available to Affiliate Partners who promote Inghams Lakes and Mountains holidays and applies to all online Lakes & Mountains bookings placed between 12th April and midnight 20th April 2017. We are pleased to announce a new incentive - Double Commission (5%) on Ski bookings until 15th April 2017. To qualify for the 5% commission rate, simply promote our ski holidays on your website and/or social media channels and send a screenshot of your promotion to affiliates@inghams.co.uk by midnight 15th March 2017. Your extra commission rate will be activated as soon as we have acknowledged receipt of your screenshot and will apply to all ski bookings completed online by midnight 15th April 2017. Get a few extra days on the slopes this winter! Choose from 3 or 4 night stays at top resorts in France, Switzerland and Italy. New Easter short breaks available in Tignes and Val d'Isere - 4 days of skiing over the long Easter weekend, exclusive catered chalets, 7 nights from just £499pp. 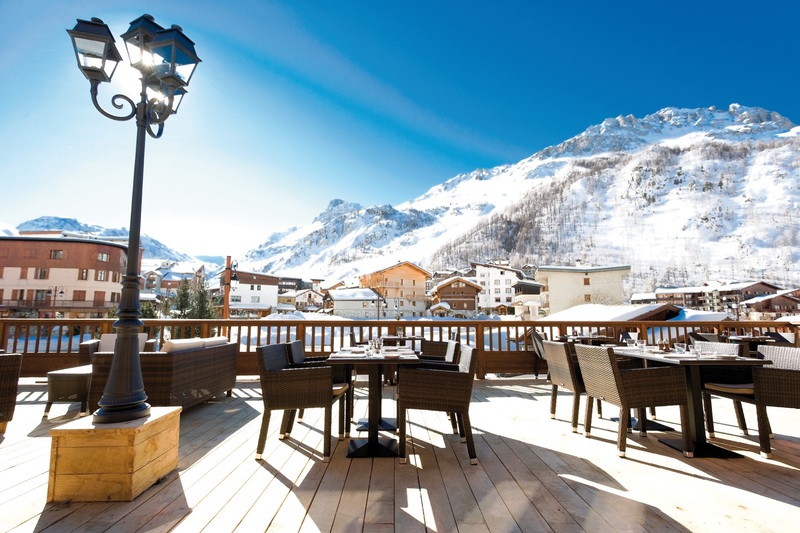 Fantastic savings at our exclusive Chalet Hotels in Italy - up to £500 per couple. World-class resorts, friendly atmosphere, superb food (inc. skiers breakfast, afternoon tea with freshly baked cake and 5 course dinners with complimentary wine). 7 nights from just £469pp inc. flights, resort transfers and catered accommodation. Superb spring skiing, bluebird days and fantastic apres - head to the Alps this March from just £299pp*, inc. flights, resort transfers and accommodation. Ski for less in the scenic Jungfrau region of Switzerland. Book your ski holiday to Grindelwald, Murren or Wengen this March and save on your lift passes. The promotional commission rate of 5% is only available to Affiliate Partners who promote Inghams ski holidays AND submit a screenshot to the email address provided by 15th March 2017. The promotional commission rate will be activated as soon as a screenshot has been received and will apply to all online bookings placed between the date of receipt and midnight 15th April 2017. The promotional rate cannot be applied to past bookings retrospectively and only applies to Ski bookings.